Bestplate have made a further investment in its wide-format print resources with the acquisition of the latest Mimaki CJV Integrated Printer and Cutting Machinery, complementing its existing large-scale on-site print facility. This latest investment increases our digital print capacity for short-run print production and also helps consolidate our market leading position as a supplier of vehicle window stickers, vehicle service/MOT date reminder stickers, MOT wallets, tax disc holders and similar items of motor trade promotional items. Already installed and operational, the new machinery provides the business with greater resilience and flexibility as well as the capacity to satisfy increased customer demand for better, sharper image quality and multi-colour print works. Using the latest software – set ups are quick and continuous crop mark detection provides accurate contour cutting for the most intricate works. 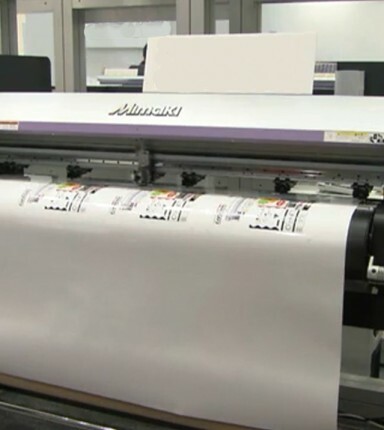 Consistent with our Quality Strategy our large on-site screen printing facility and digital processes only use quality PVC and premium eco-UV inks. Therefore, regardless of print process, all our printed PVC products can be stretched and applied on curved surfaces without cracking. The products also offer outstanding outdoor durability and are UV light stable which is particularly essential for our huge market of vehicle window sticker, pricing unit and tax disc holder buyers. This is because most vehicle windscreens and rear windows upon which they are applied are angled in a way that subjects the products to high levels of sunlight. For product samples of our printed motor trade promotional items, please call 01253 345287 or contact your Bestplate Account Manager.